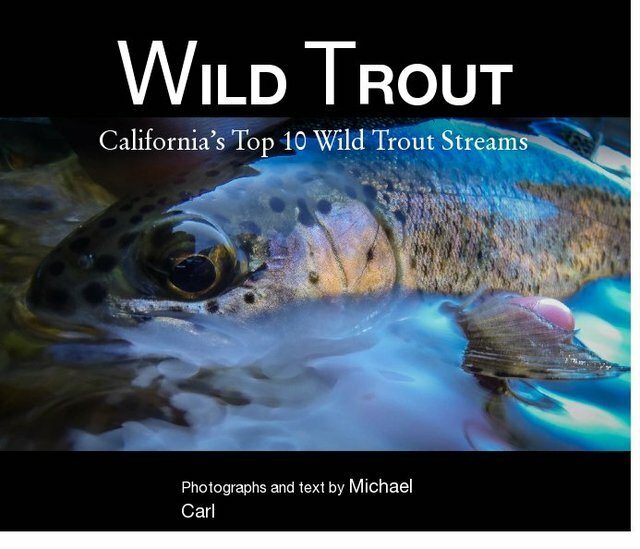 Wild Trout details ten of California's most scenic, diverse, and significant wild trout fisheries. In fact, the California Fish and Game Commission has included most of these streams within the state's "Wild Trout Program." Selecting the top ten wild trout streams in California began a process for me of choosing equal parts good fishing and good scenery. The exception being those streams holding bigger than average trout getting extra consideration. During the planning and design of this book, however, serious conflict characterized the selection process. As an angler I leaned strongly toward the trophy trout waters. But, as a photographer I got swept up in the visuals of a place. In the end, I went with my gut feel on which streams were my top 10 wild trout streams. Michael Carl is a lifelong angler as well as a freelance writer and photographer. As a native Californian who has lived in the Sierras, the Central Valley, and on the Coast, he's fished most of California's rivers and caught all the state's unique species of trout. His writing and photography have been published in American Angler, Bay Nature, Earth Island Journal, Fly Fisherman, Northwest Fly Fishing, Outdoor Life, Salmon & Steelhead Journal, Salon, Smithsonian Ocean Portal, Southwest Fly Fishing, and TROUT. He lives in Half Moon Bay, California with his wife Debbie and a coonhound named Walker.